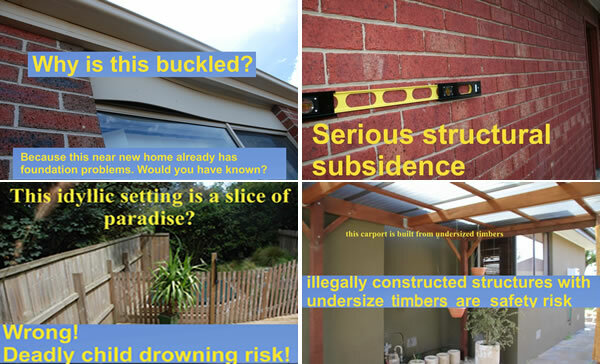 Regularly weI find serious structural problems, illegal structures and risks to health and safety. How will you protect your investment, how will you protect your family? There is no substitute for expert advice. BUILDING - PRE PURCHASE INSPECTION REPORT - FOR HOUSE BUYERS EXCEEDING AUSTRALIAN STANDARD - FOR YOUR PEACE OF MIND.